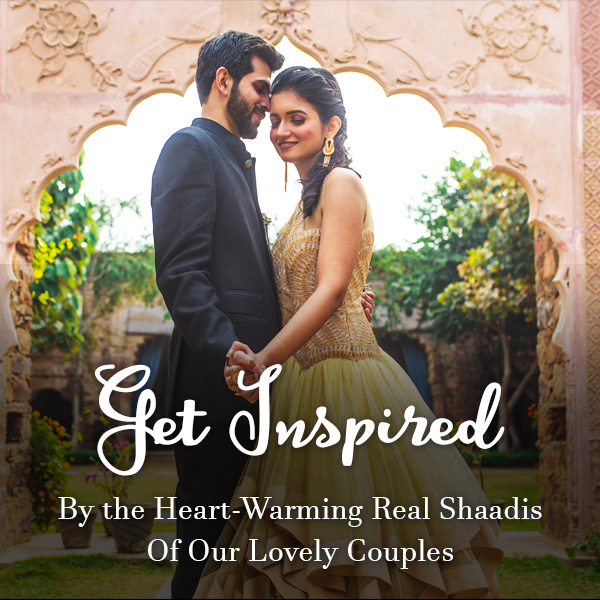 We know that there is a village backing up brides for bridal wear, so we decided to help our dashing grooms find that perfect groom wear. We know that you already have a lot on your plate which is why we decided to share your load and do the work on your behalf. 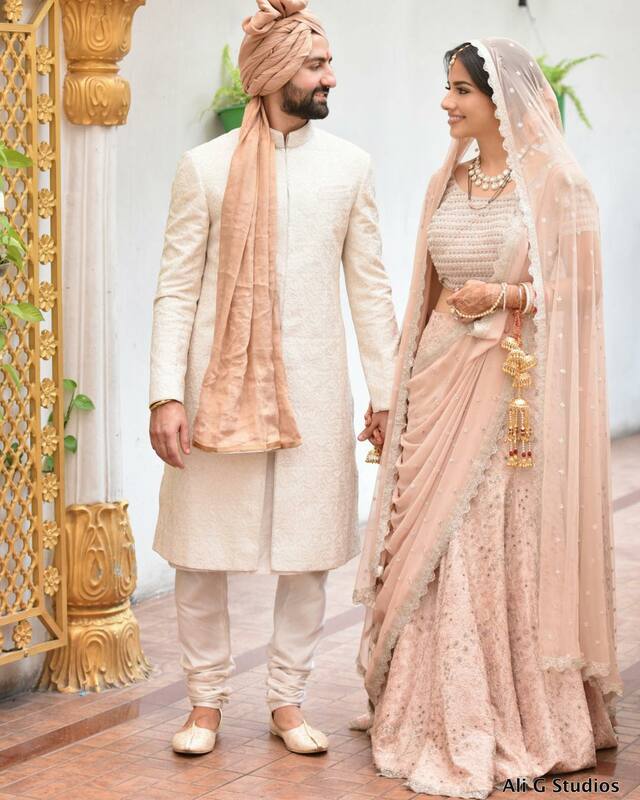 We have found the most suave looking wedding outfits for your special day that will make you the most stylish groom ever. 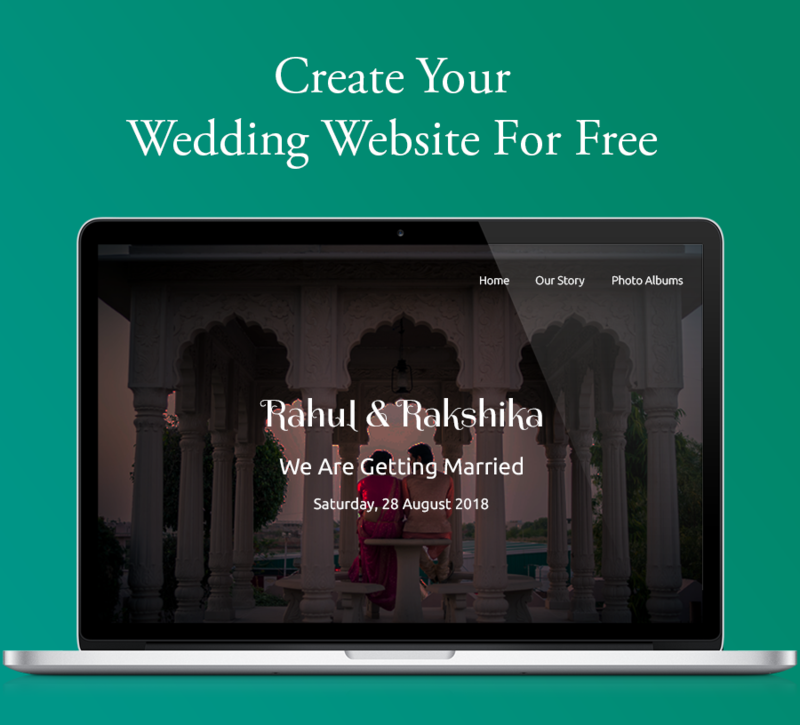 From mehendi to the wedding, we have got you all covered. 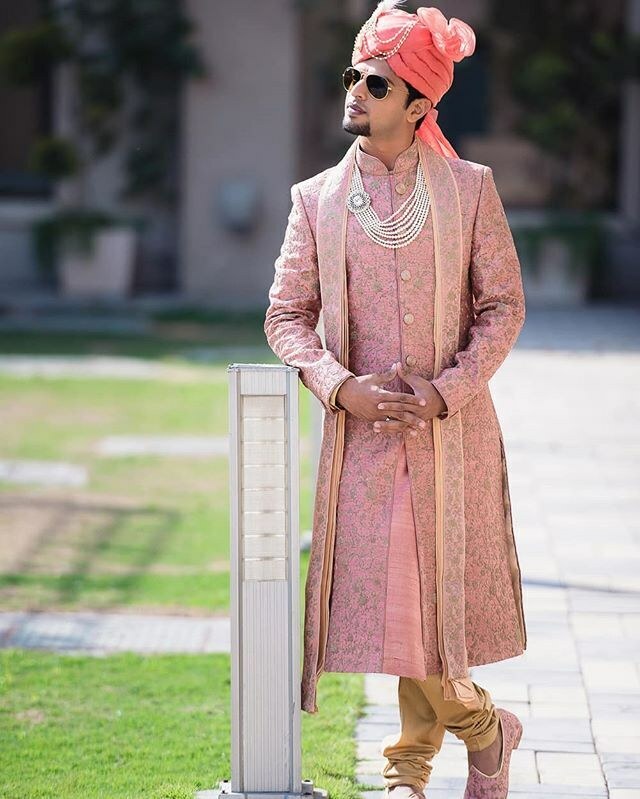 Just as the options are vast for our sassy brides there are no less for handsome grooms. 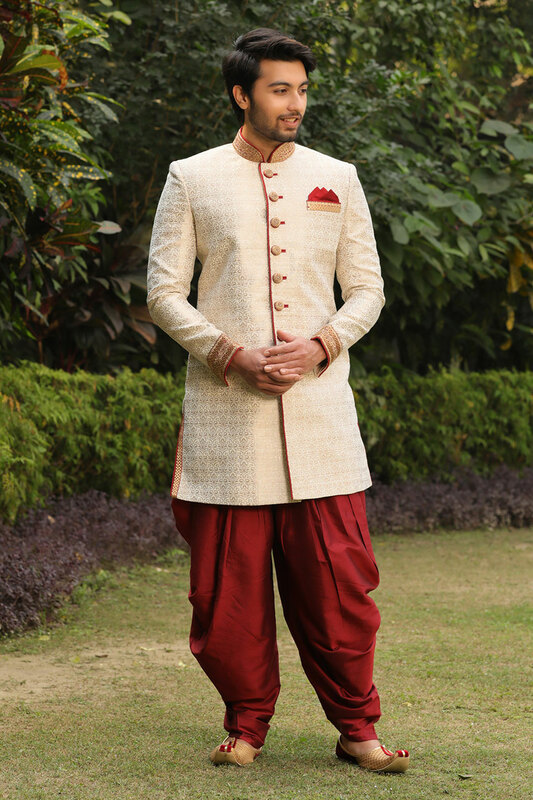 Be it the traditional groom wear options or some classy and contemporary Nehru jackets, the search ends here. 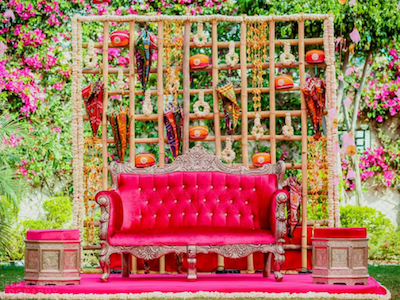 It all begins with the mehendi ceremony. 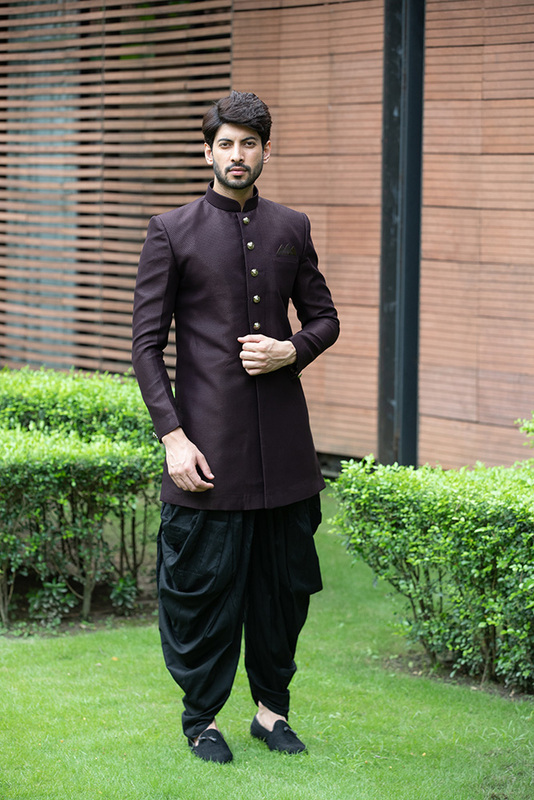 It marks the beginning of the wedding festivities and you definitely need something that is both comfortable and stylish for the occasion. 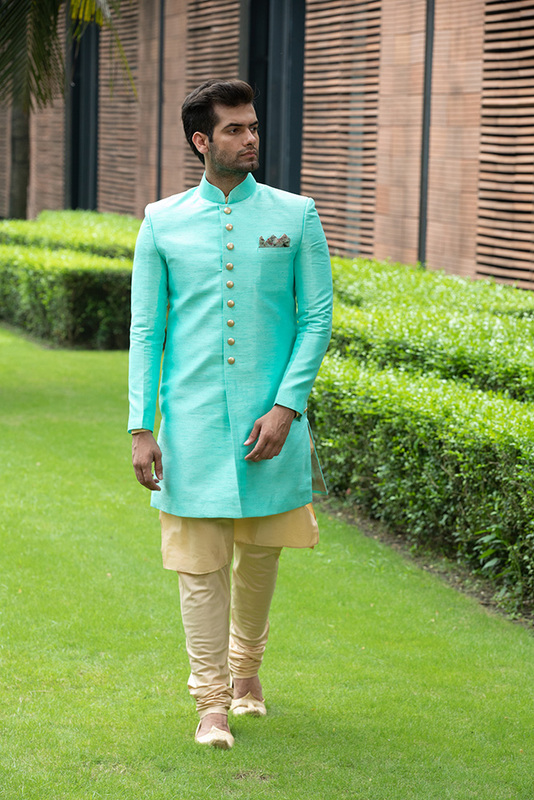 Go ahead with a vibrant coloured kurta pajama or bandhgala jacket, for this pre-wedding ceremony. 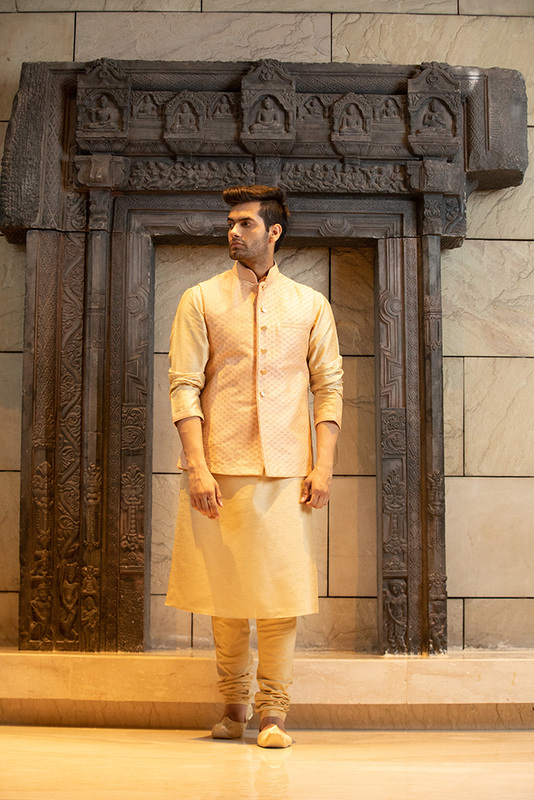 Recently, Manyavar launched their new collection for grooms and we picked up this beige kurta with Nehru jacket of similar shade. 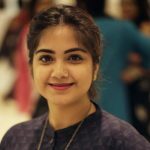 This can also be a great option to rock your mehendi look. 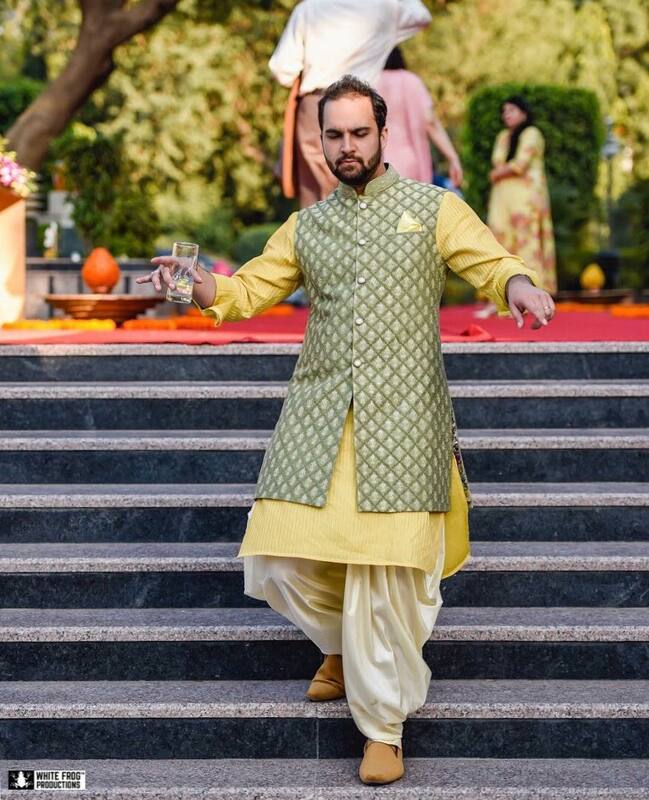 Sangeet is one occasion that allows you to experiment your heart’s content. You look for something comfortable, chic and trendy. So, put your best fashion foot forward for the night that you will remember forever. Something that makes you most handsome man of the night. 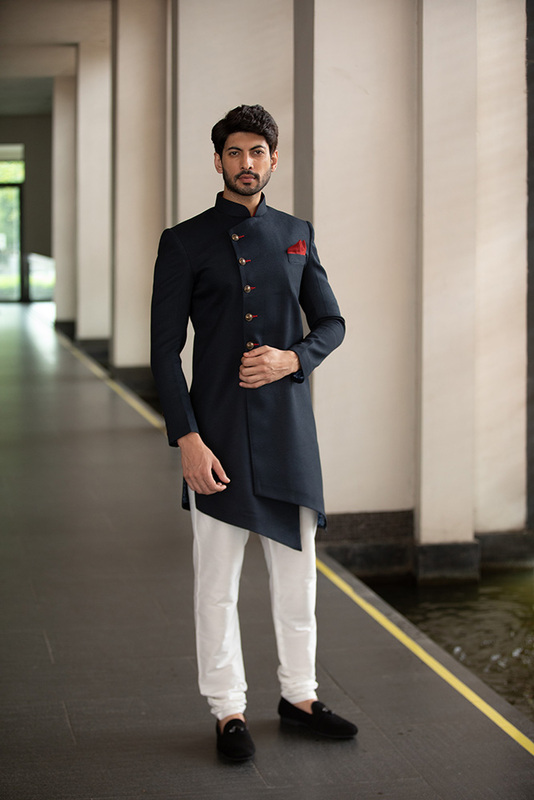 And, we want you to try new and stylish designer groom wear by Manyavar at your sangeet. 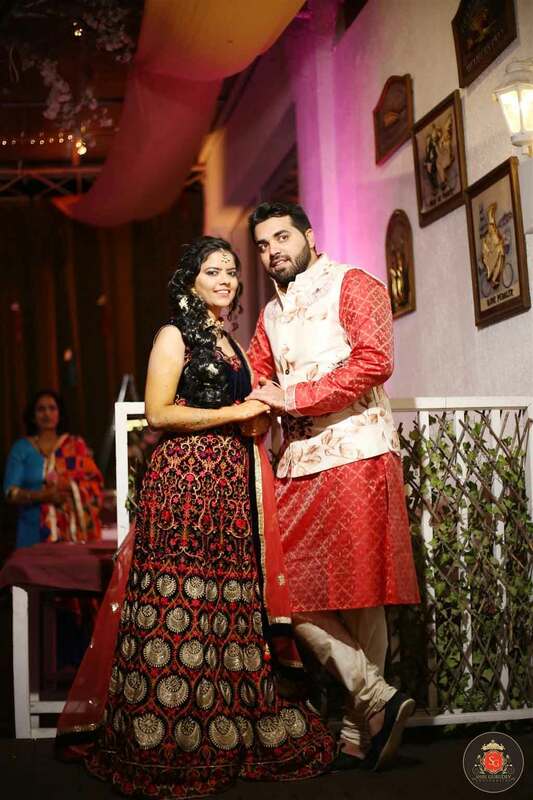 This velvet bandhgala or black bandhgala with salwar can be one of your best options for sangeet night. 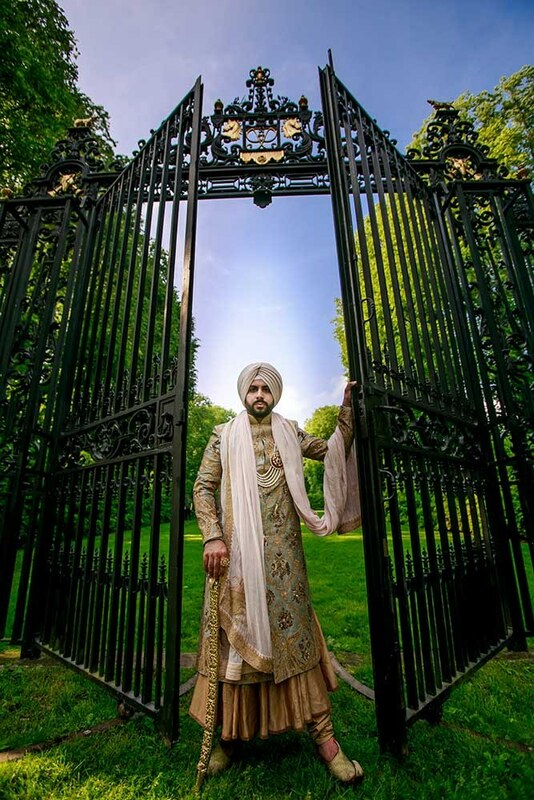 If you are still not sure we have some more amazing options for your sangeet night. 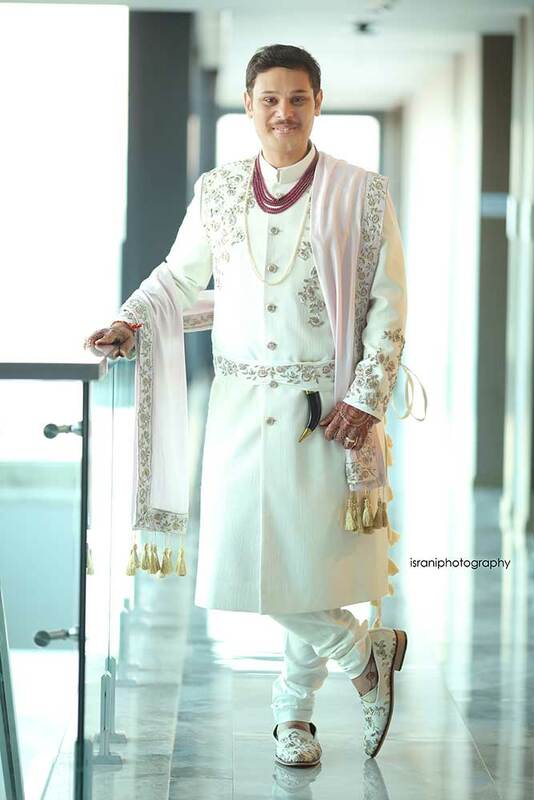 Like some more these Indo-Western dresses for grooms are trending these days. For the engagement, every groom needs something that leaves a lasting impression. This is the first official gathering in which you will be meeting the entire family of your partner. 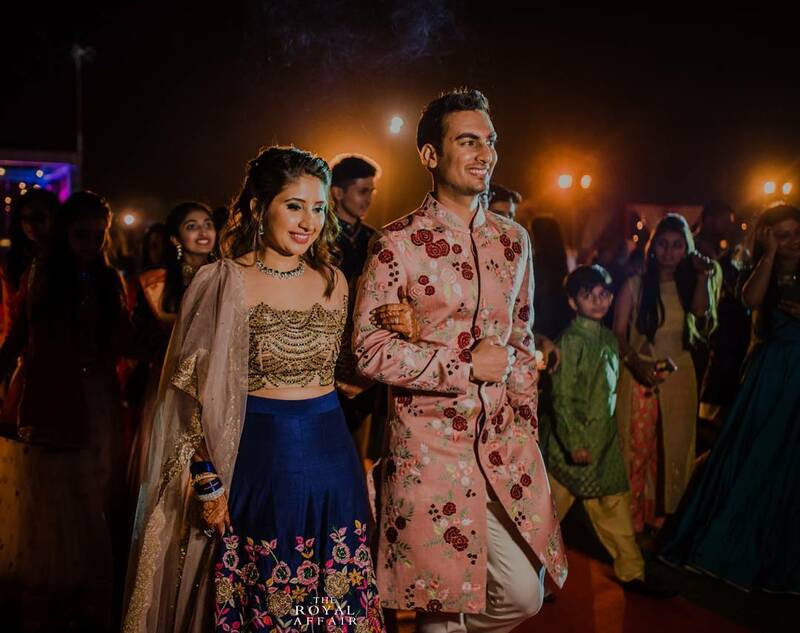 Either opt for traditional Indian groom wear for engagement or try out something more contemporary like Nehru jackets, light sherwanis or bandhgalas. 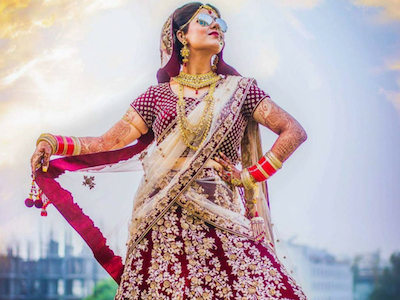 We suggest that you accessories that with a stylish dupatta or some jewellery. 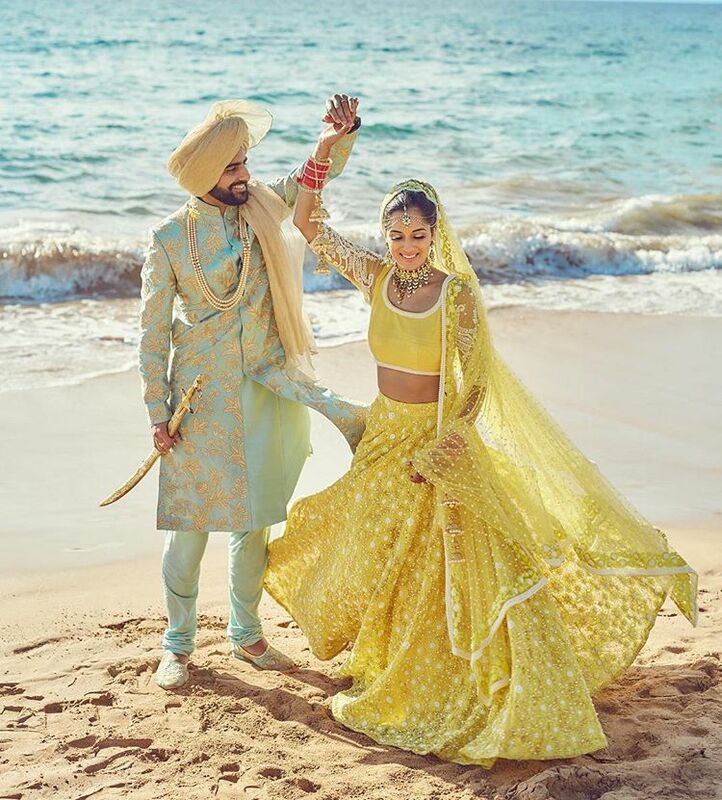 No matter how many of you would agree that men look dashing in suit, but for the D-day they would also look for something traditional isn’t it? 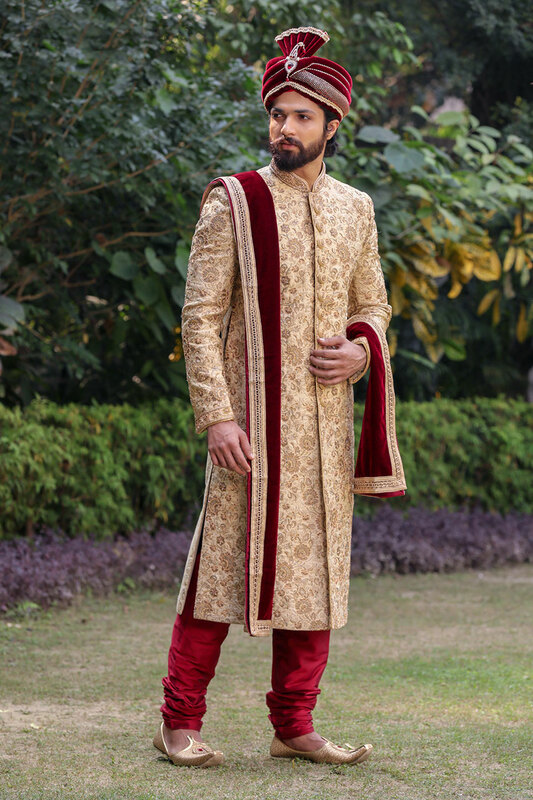 Grooms prefer to wear either sherwanis or bandhgalas for the wedding. 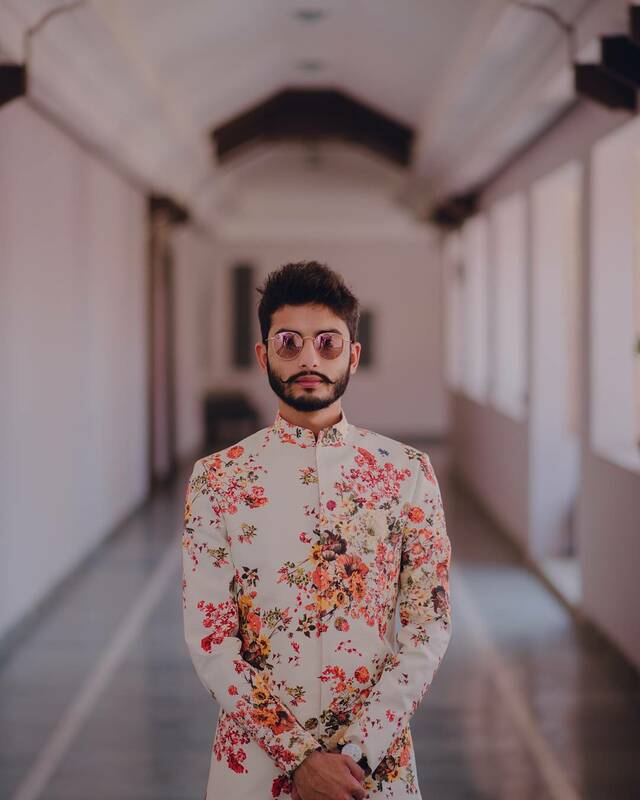 And, we know how to style you better. 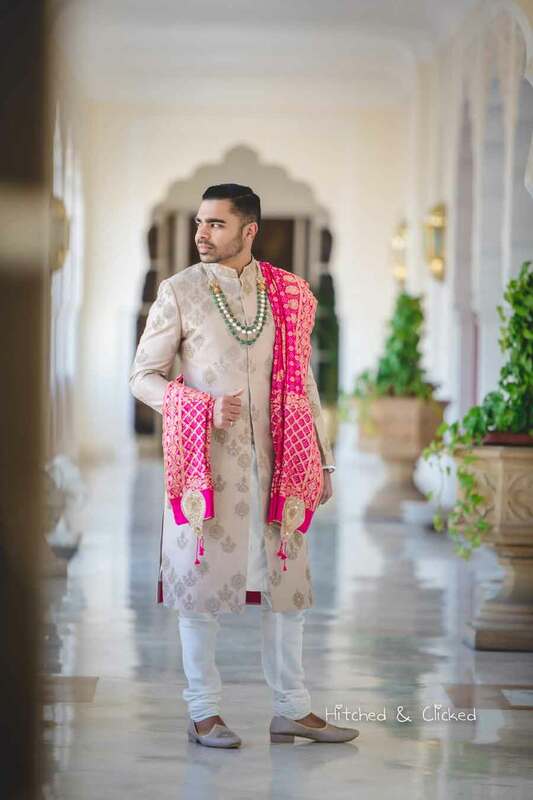 So, we found this mens wedding sherwani by Manyavar from their designer collection and couldn’t resist but to add in this list. 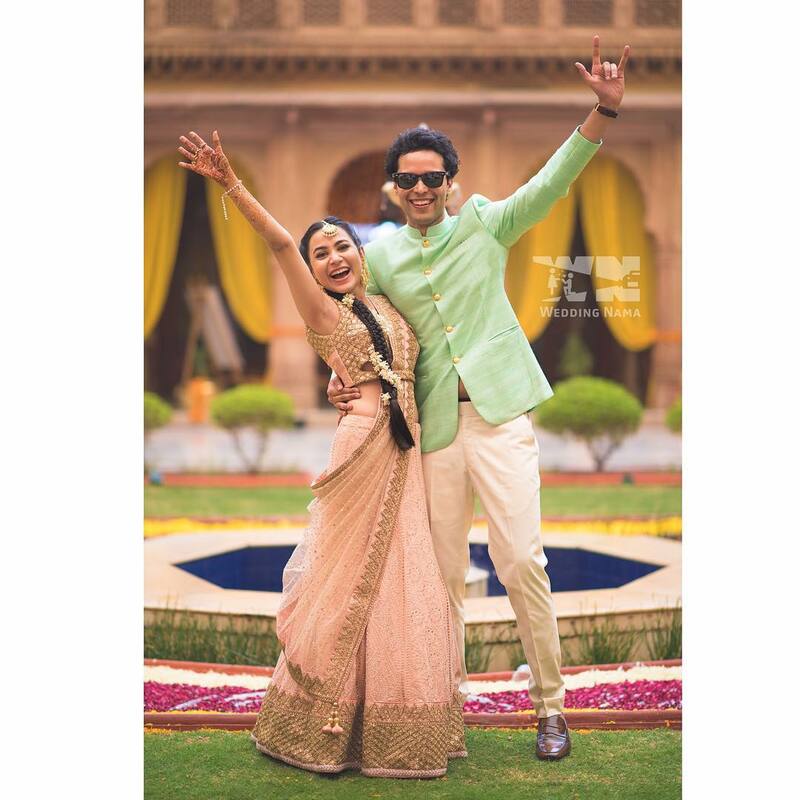 It’s your wedding day and nothing but grand will suffice! 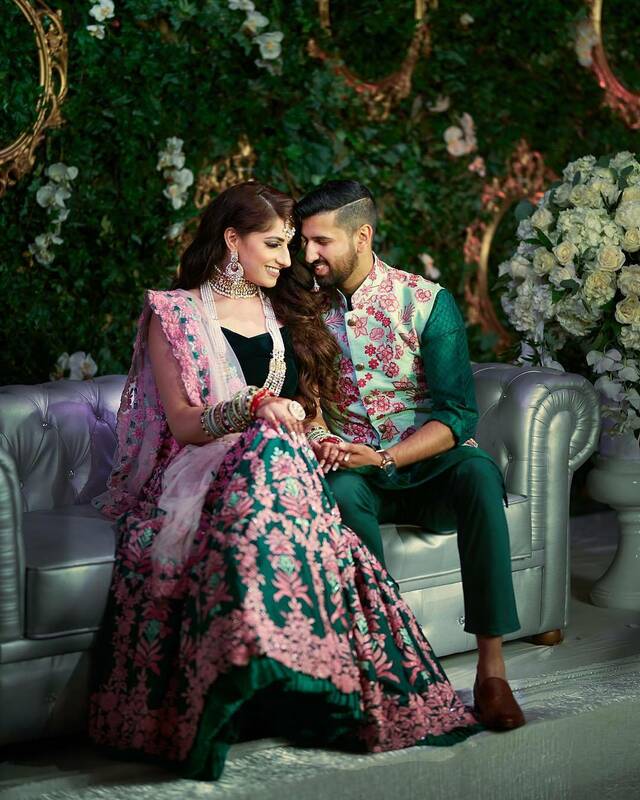 Other than designer collection we have got you some more wedding outfits that you will want to shop this wedding season. 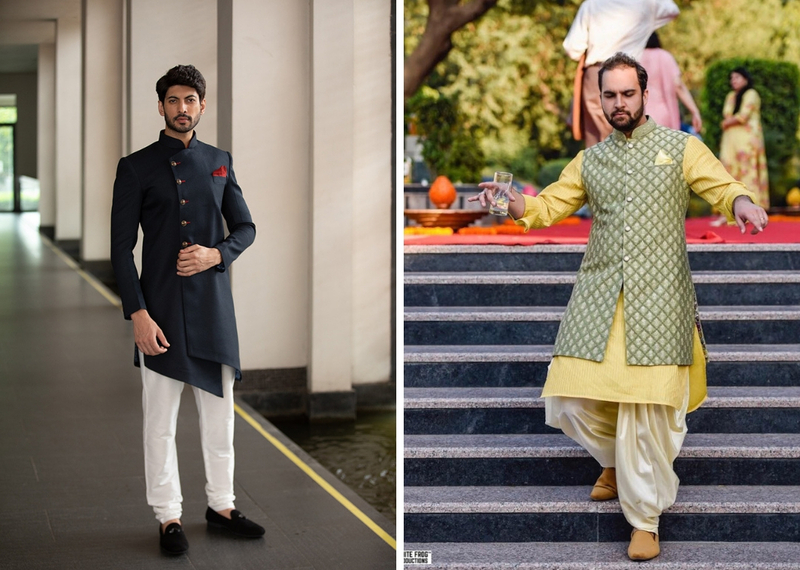 Groom wear has evolved for good, thanks to the dedicated work of some talented designers and stylists. 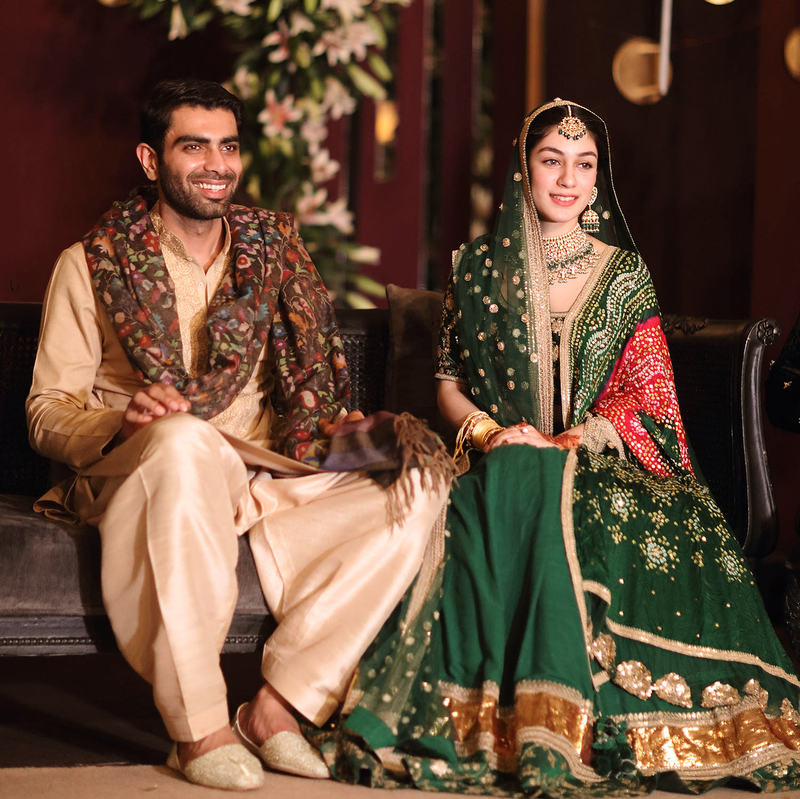 You don’t need those plain and conventional sherwanis anymore. 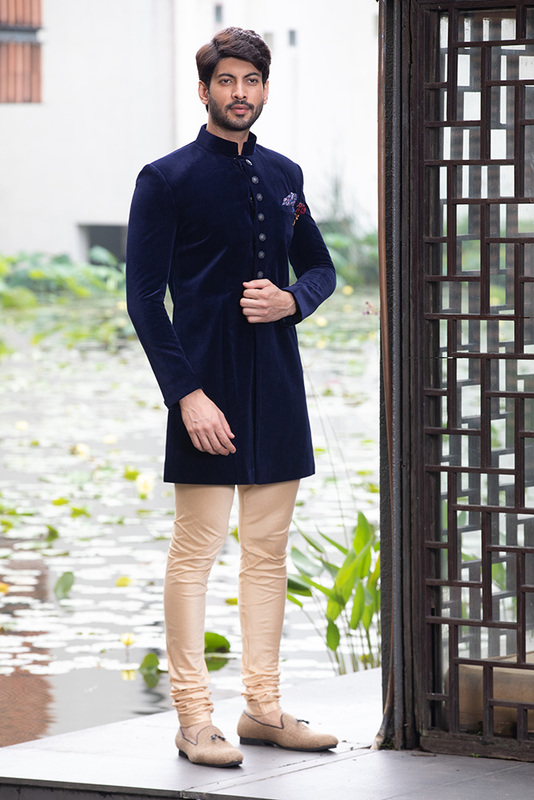 There are many amazing labels like Manyavar who will make you look like a king on your D-Day. 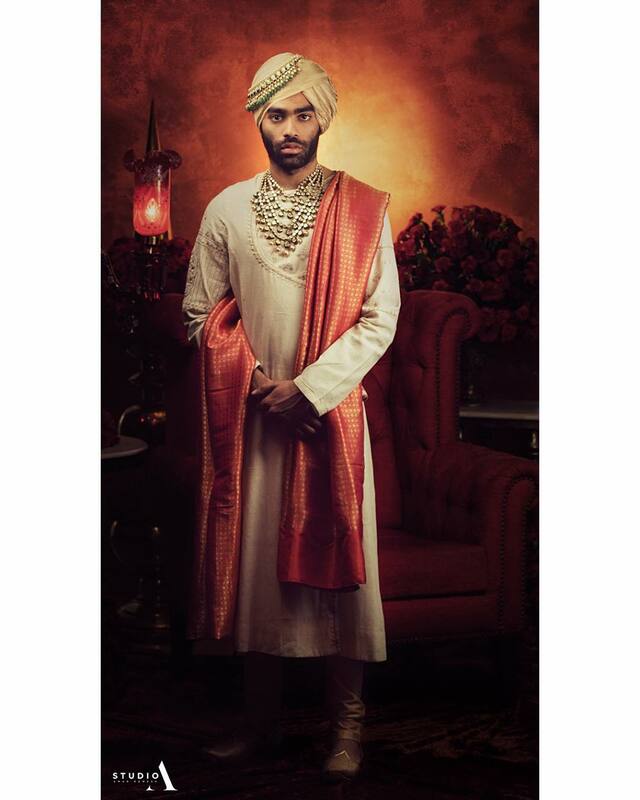 And, if you liked any of the Manyavar collection then you can get it in the Manyavar store near you.